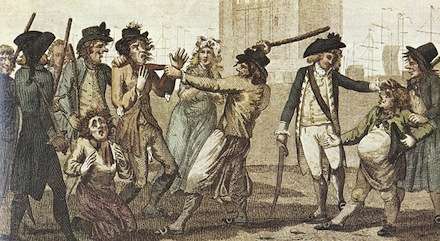 Black Sam Bellamy became the wealthiest pirate in history not because of greed but because of anger – anger at the English system that exploited poor country boys and sailors like him. 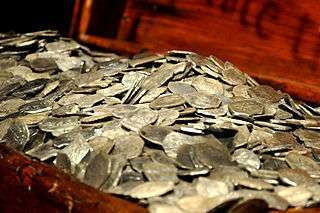 After his early death in 1717 he left a legacy of folklore on Cape Cod and a ship loaded with treasure off its coast. In 1984, treasure hunters found his ship and in 2018 archaeologists believed they found his remains. Black Sam Bellamy ran his pirate operation democratically. His men were slaves and Indians and sailors pressed into service. Bellamy treated them equally and let them vote on important decisions. Bellamy and his crew captured 53 ships before he died in a shipwreck at 28. They called him Black Sam Bellamy because he eschewed the fashion for powdered wigs and wore his black hair tied with a black satin bow. He had good manners, dressed neatly in fancy clothes, and he always wore four ornate dueling pistols in his sash. Black Sam Bellamy called himself ‘Robin Hood of the Sea,’ and his men called themselves ‘Robin Hood’s men.’ There is no record of him ever killing a captive, and he often returned captured ships and cargo if they didn’t suit his purpose. We know little of Black Sam Bellamy’s early life, though he is presumed to have been born in Devon in the west of England. The woman who was probably his mother died in childbirth and was buried Feb. 23, 1689. His parents were likely tenant farmers, hovering on the edge of starvation like half of England. Bellamy left home at a young age for a port – London, Bristol or Plymouth. He became a ship’s boy at 13 at the outset of the War of Spanish Succession. By the end of the war in 1712 he was a skilled sailor. No one knows how Black Sam Bellamy ended up on board a British ship. A press gang may have grabbed him. In the early 18th century, Britain didn’t have anywhere near enough sailors. The press gangs tricked country boys into signing up or simply kidnapped and forced them on board ships. Once in service, ship captains routinely cheated sailors of their wages. They gave the sailors vague IOUs instead of wages, or paid them for their last voyage just before they left port for the next. Sometimes they simply didn't pay them at all. 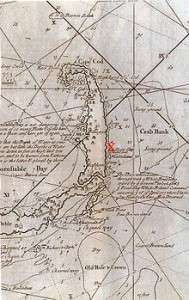 Black Sam Bellamy sailed to Cape Cod in 1714 or early 1715 to seek his fortune, arriving in Eastham where he may have had relatives. There he had an affair with the beautiful Maria Hallett, all of 15. After impregnating Maria he sailed to Florida to recover Spanish treasure with his friend from Rhode Island, Paulsgrave Williams. Others got to the treasure first. The two men turned to piracy under Benjamin Hornigold, but the crew mutinied and elected Bellamy as their captain. In 1717 Bellamy and his crew captured the Whydah Gally, a slave ship he refitted as a flagship with 28 guns. The Whydah had an advanced weapons system capable of attacking any man-of-war in the Americas. In a year, Black Sam Bellamy and his crew raided 54 ships along the U.S. East Coast and the Caribbean. All in all they captured treasure worth $120 million today, according to Forbes magazine. That made him the top-earning pirate. I am sorry they won't let you have your sloop again, for I scorn to do any one a mischief, when it is not to my advantage; damn the sloop, we must sink her, and she might be of use to you. Though you are a sneaking puppy, and so are all those who will submit to be governed by laws which rich men have made for their own security; for the cowardly whelps have not the courage otherwise to defend what they get by knavery; but damn ye altogether: damn them for a pack of crafty rascals, and you, who serve them, for a parcel of hen-hearted numbskulls. They vilify us, the scoundrels do, when there is only this difference, they rob the poor under the cover of law, forsooth, and we plunder the rich under the protection of our own courage. Had you not better make then one of us, than sneak after these villains for employment? The Whydah and the Mary Anne, commanded by Williams, headed north to New England. Williams and the Mary Anne broke off to Rhode Island, where he wanted to visit his family. Bellamy continued on, perhaps to Eastham to see Maria, but a terrific Nor’easter on April 26, 1717 wrecked the Whydah off the coast of Wellfleet. Black Sam Bellamy and all but two of the 142 men on board perished. Eventually, 102 of the bodies from the Whydah Gally were buried in a mass grave. The Mary Anne was shipwrecked a few days later, leaving seven survivors. In 1984, underwater explorer Barry Clifford rediscovered the Whydah in 14 feet of water and five of sand. The Whydah’s artifacts can be seen at Expedition Whydah Sea-Lab & Learning Center in Provincetown, Mass. Since Clifford found the wreck of the Whydah, archaeologists continued to search the site. In 2018 they announced they may have found the remains of Black Sam Bellamy himself. The U.K. Telegraph reported scientists found a femur encased in a mass of iron, stone, silver, gold, tools and weapons. They also found pieces of a crushed helmet, indicating a violent death. And they discovered an ornate pistol wrapped in a ribbon that probably belonged to Black Sam Bellamy. In 2016, an Englishman from Devon came to the Whydah Pirate Museum with documents that showed he was descended from Black Sam Bellamy. Scientists from the University of New Haven tested the bones for a DNA match with the presumed descendant. They found the man's DNA didn't match Sam Bellamy's. Black Sam Bellamy left another legacy. Maria Hallett gave birth to Bellamy’s baby, who died. She spent a short time in jail. According to local lore, she lost her mind or withdrew from society and moved to a shack in Wellfleet. People called her ‘Goody Hallett’ or ‘The Witch of Wellfleet.’ Today a meadow in Wellfleet is known as Goody Hallett Meadow. With thanks to The Republic of Pirates: Being the True and Surprising Story of the Caribbean Pirates and the Man Who Brought Them Down by Colin Woodard. This story about Black Sam Bellamy was updated in 2019. Mike you should check out Black Sails on Stars channel. 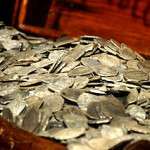 I love going to the Whydah Museum in Provincetown, MA with all his loot in it. Boasting here… I found out I was related to Black Sam back in the ’70s. Ralph Bellamy, the actor, was related too. I discovered I am related as well, through my biological family. Never heard of him. What about another New England pirate named Dixie Bull?